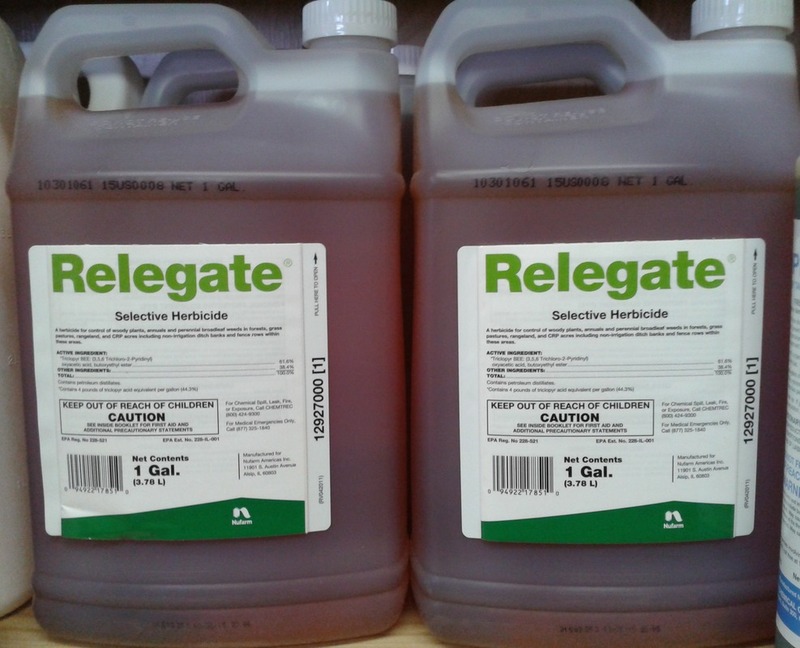 Relegate- 1 Gallon Container- A herbicide containing the active ingredient triclopyr, for basal-bark and cut-stump use as well as control of more than 80 woody plant species. Selective to warm- and cool-season right-of-way grasses and warm- and cool-season native grass species. Ideal for low-profile, individual plant treatments. Can be used year-round.